« Stuff not to do? Gotham Dream Cars Accident. 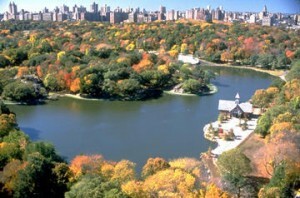 Set in the northeast corner of Central Park is Harlem Meer, the second largest man-made body of water in Central Park. Kids can do catch-and-release fishing and explore the Meer’s two playgrounds. Swimming is also available at the nearby Lasker Rink-turned-swimming pool. Sunset dancing takes place on the terrace at 110th St., adjacent to The Charles A. Dana Discovery Center. Stop by on a Sunday afternoon from 2 pm-4 pm for a lakeside music performance. No trip to Central Park is complete without a visit to Belvedere Castle, a lookout-like structure appropriately named for the beautiful views its setting affords. From the two balconies of the castle, you’ll get panoramic vistas of the park and a privileged look at the Delacorte Theater, home of Shakespeare in the Park. Kids can participate in different activities at the Castle from storytelling to using microscopes and telescopes to observe natural history artifacts. The Castle is open Tuesday-Sunday from 10am – 5pm. Close by is the Shakespeare Garden, an informal jumble of flowers, trees and pathways, inspired by the works of Shakespeare. The area is usually very tranquil as most people don’t know about it. A real treat. The Ramble gives a hint at New York City’s geographic past, with unspoiled paths and greenery comprising 38 acres. You might want to grab a park map from the Information Center at the Dairy (just south of the 66th St. transverse) before you set off here, as it’s easy to get lost. You can also pick up a field pack for the kids at Belvedere Castle. Keep an eye out for birds; The Ramble is a major migratory route and a shelter for the more than 270 species that have been spotted in the park. Be a kid again and take a ride on the Carousel, one of the largest merry-go-rounds in the country. The Carousel has progressed significantly since 1871, when a blind mule and a horse powered the ride by walking on a treadmill in an underground pit. Close to 250,000 people ride the Carousel each year for just $2 per ride. That's it for part one of the best places to visit in Central Park. 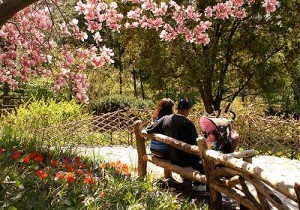 If you want to see the rest of the list, go to part two of the best places to visit in Central Park. This entry was posted on Wednesday, May 23rd, 2012 at 3:13 pm	and is filed under Stuff to Do. You can follow any responses to this entry through the RSS 2.0 feed. You can leave a response, or trackback from your own site.